The 2019 race for village trustee is important because of its potential to shift power away from Mayor Roger Claar. If First Party for Bolingbrook wins at least one seat, Claar’s allies will hold the board. If Bolingbrook United sweeps, they will take control of the board. If Maripat Oliver (Bolingbrook First) wins, and Bolingbrook United takes two seats, the balance of power could rest with her. All the trustee candidates care about Bolingbrook. They’ve also served the community in one capacity or another. All of them have relevant experience. 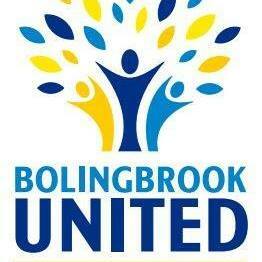 We recommend supporting Bolingbrook United’s Trustee slate this year. We support their call to end “no bid” contracting and to allow more businesses the opportunity to provide services for the village. We also agree that village employees should be collecting no more than one salary from the village. While Bolingbrook isn’t on the verge of bankruptcy, the village can do more to get its large debt under control. Residents don’t need to be “educated” about the debt. Bolingbrook needs leaders who will do something about the debt besides continually refinancing it. Current Bolingbrook United Trustee Robert Jaskiewicz received a hostile reception from Claar’s trustees and had a few minor missteps at the beginning of his term. Since then, we’ve been pleased with his work. He’s worked with the other trustees, as signified by the relatively few no votes he’s cast. We’re also impressed with his effort to give residents the option to have garbage toters. Considering that Claar seems to regard toters as a liberal conspiracy, the fact that residents may soon be able to get their own toters is a testament to his work on the board. His use of social media to update residents about what happened at meetings is appreciated. Sadly, many of his attempts to propose agenda items have been blocked by Claar. We look forward to what he could do with more members of his party on the board. Bolingbrook United may not have the First Party for Bolingbrook’s flashy marketing or Oliver’s local charm, but they do care about Bolingbrook enough to face off against the Claar political machine and to give residents a viable choice for the future.